The modern world recognizes the power of words. With Internet being transformed into an information hub, more and more people hook onto it to monitor all sorts of stuff ranging from food to technology to travel and leisure. In such a setting, one of the best ways to make oneself useful is by being a part of the community that makes such valuable information available. Writers and bloggers are an enormous part of this community. And this post is about a tool that is bound to make the work of bloggers and writers easy. We’re talking about StackEdit here and trying to find out how much water this online in-browser editor holds. When you hear the name StackEdit, it hardly strikes you as an online writing tool with awesome features that can simplify the work of bloggers and writers to a great extent. But that’s exactly what it is. 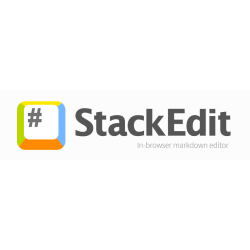 StackEdit is an in-browser Markdown editor that promises to deliver an unrivalled writing experience. It lets you create articles and blog posts that you can publish on a number of social platforms simultaneously. And if you’re thinking there’s nothing great about it, wait till you hear about all the controls it offers you. The tool encompasses almost the range of capabilities packed into NotePad++ or WordPad or other offline popular writing tools. Of course it isn’t as diverse as Microsoft Word, but as far as blogging or posting articles is concerned, it lets you achieve everything you need. Powered by What-You-See-Is-What-You-Get controls, the editor helps you visualize the final rendering of your documents before you actually post them online. What’s more, you can integrate StackEdit with Google Drive and Dropbox to save your documents directly to the cloud. With advanced capabilities of inserting mathematical expressions into documents and creating UML diagrams using simple syntax, StackEdit is quickly becoming one of the most popular in-browser writing editors of all time. Visit the tool’s homepage and click on “Start writing now!” in the top menu. This will redirect you to a screen divided into 2 panels – left one for editing and right one to preview the output. The preview window is toggle-able and you can close it if distracts you while writing. By default you’ll see some text displayed in the editor. It is dummy text that you can delete but we’ll advise against it since going through it can give you helpful pointers about the tool’s syntax. 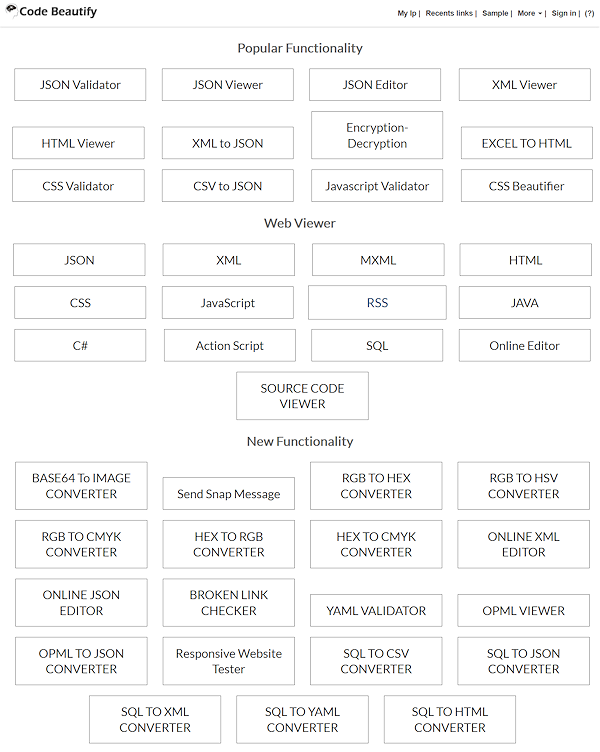 The syntax of the tool resembles HTML with tags specifying text attributes, for example, to insert icons tags are used. Catching the other shortcuts is simple too. We quickly made out that to make some text bold we had to enclose it within asterix pairs (**text**) and marking some text as headings (H3) required prefixing it with the same number of hash signs (###). Similarly, figuring out the trick behind inserting bullet lists and keyboard button images was easy. We recommend that you read the full dummy text displayed in the editor to know about StackEdit’s features in detail. If you do need to delete the text, copy-past it elsewhere and then go ahead. This could save many of your potential work hours that you might have to spend in the future to find out precious shortcuts about the tool (like how to insert a table of contents or create UML diagrams using text syntax). In addition to the text you’ll find a host of other editing options in the file menu including Bold, Italics, Hyperlink, Code-Sample, Image, etc. Simply click on any of them to insert the respective tags in the text and you’ll be good to go. In the same menu you’ll find undo-redo buttons as well as a button that allows you to insert comments into the documents you create. On the left-most corner of the file menu you’ll find a hash button which reveals additional options like import / export document, share, publish, convert to Markdown, etc. It will also give you access to account settings. Lastly, on the right-most corner of the file menu, a folder button will allow you to create new document, delete an existing document, as well as manage your documents. We were actually quite impressed by StackEdit. The tool was so simple, yet so brilliant. It gave us access to all options needed to create perfect looking documents and upload them to various social platforms easily. Moreover, it included a bunch of editing options and features at par with popular offline editors like Word. But, there were also a few drawbacks we noticed, the biggest one being the absence of a ‘Save’ button. The documents were stored only in the browser’s local storage. There was no option to create an account wherein you could perhaps save the documents you create. So in case the browser crashed, we could lose all our text and changes. Another one was that although once connected to the tool’s site, you can get disconnected and work offline, to initially establish a session you need an Internet connection. This contradicts the tool’s claim to support offline working. StackEdit is actually a great tool, though with a few limitations. But then considering it doesn’t need you to pay even a single penny, not having to sign up could be counted as a benefit if the makers can provide a way to save documents. Posted May 10th, 2017 in Content. Tagged: browser, editor, format, HTML, markdown. Anything that’s pretty grabs attention. That applies to people, places, things and almost everything else under the sun. But there’s one group of individuals who often forget this rule and go about their work as usual. This group includes the most talented computer programmers around the world. Though these gifted minds produce some very intricate codes, the code itself is often quite messy. Improper indentation, lack of comments and putting off the deletion of unused and repetitive code can over time lend disadvantages like redundancy, unnecessarily large file sizes and difficulty in tracing the code. That’s the reason many companies employ code quality checkers or set up software for the purpose. Getting flagged by such checkers though isn’t a big deal job security wise, but it could be embarrassing. 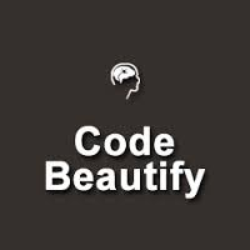 If you’re among such a group of coders who wish to clean-up your messy code but don’t have the time or patience to go about it manually, you should definitely try out Code Beautify, the online tool to decorate your code. The name of the tool gives away its purpose but Code Beautify is more than just a code decorator. Code Beautify is an online tool aimed at not only beautifying, but also validating, minifying and analyzing source code in myriad programming languages. The tool offers a powerful online script editor thus enabling users to minify, validate, decorate and even convert their source code into various programming languages. The script editor can be used to compile and execute the code as well and that makes Code Beautify a complete package in itself. Users who register with this brilliant and simple tool get a profile where they can save their experimental projects and code snippets for more brainstorming later. No size limit on the input, output or source code and standard UTF-8 encoding make this tool quite worthy for those who wish to put it to good use. And what does all of this cost you? Not even a single penny! Yes it’s absolutely free. So why waste time and energy going the manual way. 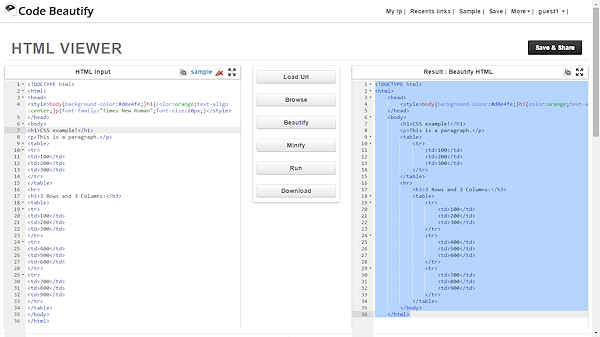 Automate the makeover of your source code with Code Beautify today! Browse – To open a source code file directly from your system, for example, if you’ve selected HTML as your language, this option will let you select an html file from your system. Beautify – To make your source code attractive. If you’re typing directly into the editor, the source code will be automatically beautified. Minify – This option removes extra spaces, blank lines, tab spaces etc from the code. Run – Shows the output of the code. Download – Downloads the source code to your machine. You can also choose to load a sample code to test the effects of each button. The editor also allows you to clear all code, copy the code or even go full screen. In addition to this basic working, there are quite a few additional features offered by this interesting tool. Once you’re satisfied with your work, you can choose to save it to your profile through a “Save and Share” button on the top right corner of the screen. Plus on scrolling down the editor page, a short description of that particular language’s editor, tool features and related links are also displayed. Other additional features include the option to track your system’s IP, see the recent links you’ve visited, language converters, unit converters (as in volume, length, weight etc), card validators, number system converters and more. It’s like so much has been packed at one space and all of it for free! The downside is also very easily distinguishable. There is so much packed in this tool that it becomes quite unnecessary and unrelated. For example, in a tool to beauty source code, there actually shouldn’t be a link to track the user’s IP (which by the way also shows the local news of the user’s area) or an option to see the recently visited links. Okay the converters could be justified since they are sometimes needed while programming, but even to use them a user needs to visit different links on the tool’s website. For that he first needs to save his current work, then go to the said converter, then come back. Frankly, who has the time for that! A user can instead simply open another tab in his browser and do the calculations elsewhere. In short, a lot of unnecessary functionality has been stuffed into the tool which gives the impression that the makers probably wanted to show that they can do other things too. A better idea would have been to make separate tools for all the different things they intended to offer. All in all, Code Beautify is a tool which has the capability to become a popular platform for programmers, but that can be possible only if the unneeded extra things are removed from it. Code Beautify makers, are you listening?